SWCTC’s mission is to connect people with the information and stories of their hometown through passionate work. Our professional team strives to provide value to the communities we serve. Oltman Middle School celebrated the completion of their brand new building. Judges are needed this election season all around Washington County. 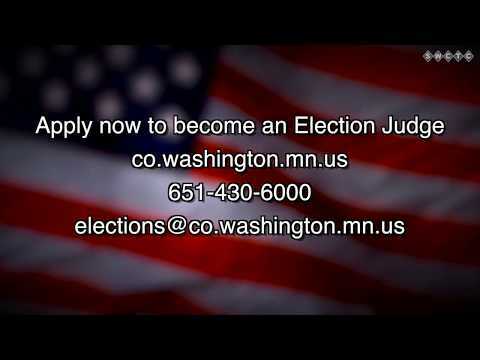 To apply go to co.washington.mn.us. 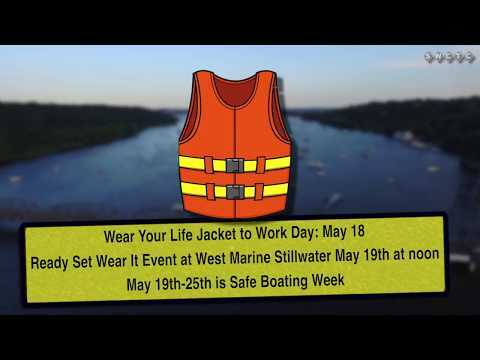 Wear Your Life Jacket to Work Day on Friday, May 18, 2018. We join boating professionals and outdoor enthusiasts to heighten awareness of different life jacket styles that are available, and demonstrate their comfort and versatility by wearing them to work. Wear your life jacket, snap a picture while at work and share on social media with the hashtags #lifejacket2work and #safeboating. 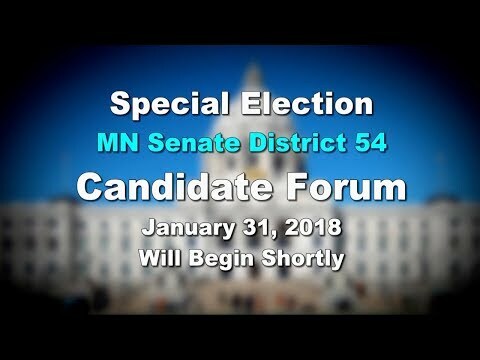 Special Election MN Senate District 54 Forum January 31, 2018, presented by SWCTC, Town Square Television, and Hastings Community Television. This month host Jon Lyksett looks back on some stories that happened in 2017. We learned about a man who gave here and overseas. Go on a ride along with the St. Paul Park Police Reserves. Learn what it's like to be a firefighter for Newport. See what occurs every Tuesday morning at the Friends in Need Food Shelf. We attended an event that educated children on bike safety, and more! This month host Jon Lyksett comes back to the Greater East Area Model Railroad Club to check out their model train display. We visit with a family that decorates their house for Christmas each year. Meet the new councilmember from St. Paul Park. We get a Mayor's Message from St. Paul Park Mayor Sandi Dingle. Learn about the history of Grey Cloud Island Township, and more! 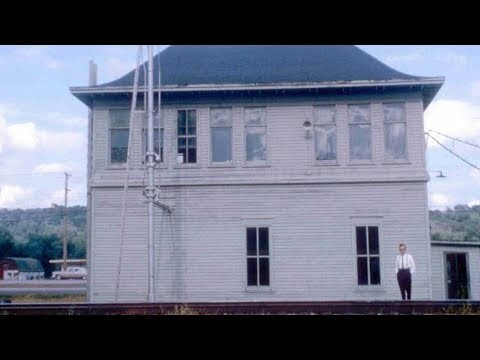 This month host Jon Lyksett explores the historic 1906 Train Dispatchers Tower in Newport. We take a ride along with some Police Reserves in St. Paul Park. The St. Paul Park Fire Department and Carbone's Pizzeria teamed up to deliver pizzas. We learn about a man who is preserving the history of the Rock Island Swing Bridge. Volunteers came together to pull buckthorn from Newport Bailey School Forest, and more! 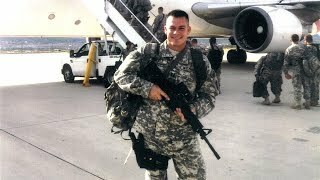 In honor of Veterans Day, here are stories that we produced about soldier's in our communities who went above and beyond in answering the call of duty. This month host Jon Lyksett visits Everyday Disc Golf in Newport. We learn about the store and also play a little disc golf. We take a hike around Riverside Park and see the different plants that grow in the area. Newport Mayor Dan Lund gives a State of the City Address. We meet the new Assistant to the City Administrator in Newport. St. Paul Park Mayor Sandi Dingle hands out pendants to the St. Paul Park Fire Department. Longtime Investigator for St. Paul Park Kyle Lindquist retires, and much more! This month host Jon Lyksett is at St. Paul Park's Abdella Park to try out the new outdoor exercise equipment. We follow along with a retiring firefighter during National Night Out. See a fun tradition that occurs every Memorial Day. The St. Paul Park Parks and Recreation Commission did a ribbon cutting for the outdoor exercise equipment. We see what occurred during Newport's Pioneer Day. Newport did a celebration of their new community garden. A groundbreaking occurred for the Grey Cloud Island Slough along County Road 75, and much more! This month host Jon Lyksett is at Lions Levee Park in St. Paul Park to learn about the Washington County Water Patrol Unit. We learn about a group of women who help out the Newport Fire Department. The St. Paul Park Police Department put on a bike rodeo. Stone Soup Thrift shop was recognized nationally. The East Metro Water Education put on a pond dipping event in St. Paul Park. We get a Mayor's Message from St. Paul Park Mayor Sandi Dingle and more. Originally opened in 1870 the Washington County Courthouse has been a staple in Stillwater Minnesota. Washington County Commissioner Karla Bigham interviews Sheriff Dan Starry. 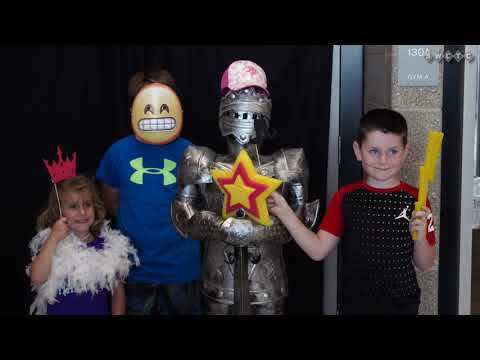 On the summer edition of County Insight, Commissioner Karla Bigham talks with Sheriff Dan Starry, we go to the historic courthouse for law day, check out the libraries bookawocky program, and find out what a County Commissioner does. Washington County Commissioner Karla Bigham talks about what it's like to be a County Commissioner. This month host Jon Lyksett is at the St. Paul Park - Newport Lions Club Car Show. The car is every Thursday from 6 - 9 PM on 5th and Broadway in St. Paul Park. We learn how some area fire department trains together in south Washington County. 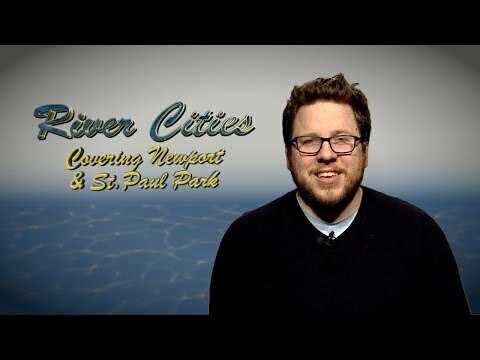 St. Paul Park Council Member Gregory Jahner shows us what makes Riverside Park unique. We see what occurred at the St. Paul Park Growing Together Art & Garden Event. We get a Mayor's Message from Newport Mayor Dan Lund and more. This month host Jon Lyksett is at the Veterans Memorial in Newport. We learn about a veteran who did a lot afar and here at home. We see who was awarded the volunteer of the year in St. Paul Park. Some citizens in St. Paul Park held a neighborhood cleanup. We get a mayor's message from St. Paul Park Mayor Sandi Dingle and more. We meet the City's utility billing rep., Dar Hintz, find out how to book an event at River Oaks, Mayor Bailey talks about business growth and more. This month host Jon Lyksett is at Cardinal Corner in Newport. We learn about the Newport Fire Department and see why they are a great department to be a part of. St. Paul Park named a street after a special citizen. We see some training drills that the Newport Fire Department participated in. We get a message from Newport Mayor Dan Lund and more.